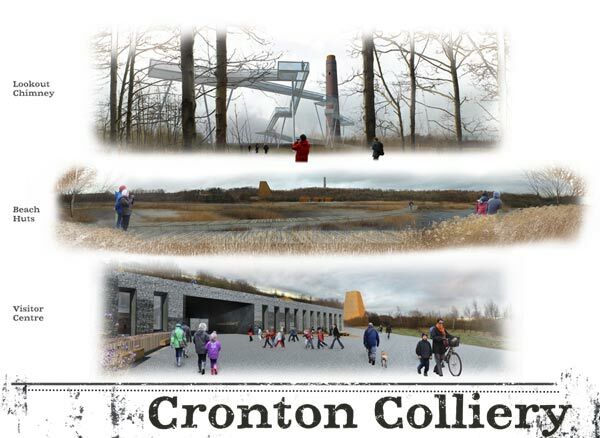 CW Studio put a team together for the Cronton Colliery RIBA Design Competition. 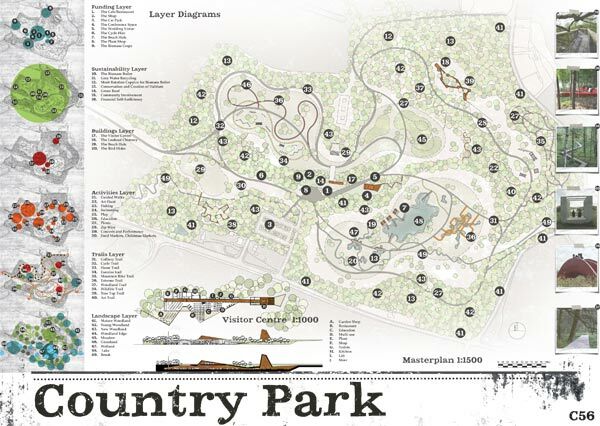 The brief was to establish a 43 hectare informal park on the former Cronton Colliery site. The Land Trust was keen to take an ecological approach to the restoration, working with nature to create a site rich in wildlife and attractive for local people to enjoy. Our design offered a multifaceted approach, based around the concept of layers. The existing landscape already shows the site history in layers; a partial restoration upon plateaus of colliery waste, imposed on a stately former parkland landscape. Upon these foundations we proposed to lay further layers to create Cronton Colliery Country Park, an exciting country park with a difference. New woodland is proposed to fit in with the mature and young woodland to define individual open areas. The wetland is expanded by re-modelling colliery spoil to create channels, pools, underwater ledges and a lake to attract a variety of bird species and aquatic invertebrates. Inventive trails around the park, art trails, cycle trails, mountain bike trails, allow visitors to experience new areas en route to a destination. The Tree Top Trail allows all visitors to experience the trees and site from a completely different perspective. This trail leads up to the Lookout Chimney, inspired by the original colliery chimney, which is positioned on the highest point in the park offering a fantastic panoramic view. Set into the topography of the site, The Visitor Centre blends into its surroundings and starts to communicate the historic development of the site. The building and landscape are entwined to create a structure that feels embedded in its site. A series of structures provide revenue, shelter and enhance the visitor experience. A simple palette of materials is used across the site to unite interventions. Corten steel is utilised to define key spaces and circulation shafts. Enclosure is provided by layered stone and brick, reminiscent of the seams of coal that run through the site and which have defined Cronton Colliery’s development to date. CW Studio led the team, created the masterplan, and was responsible for the competition board design and graphics. The team consisted of CW Studio, Architectural Emporium and Andy Gough.